That’s Quite The Reaction You Got There, Mr. Malcolm Gerrie! 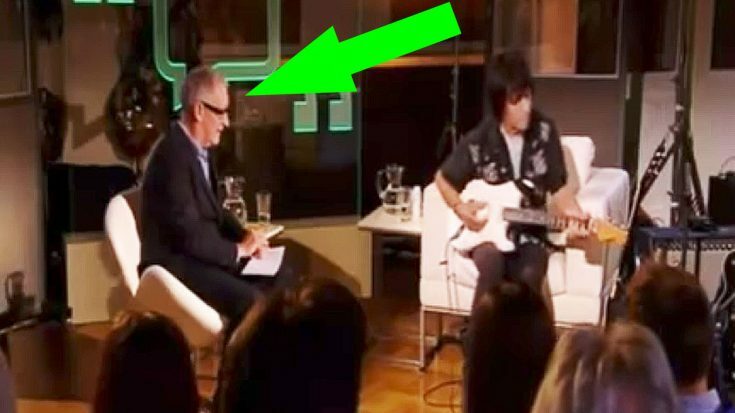 So, just imagine that you’re sitting just a few feet away from the man known as Jeff Beck and he just happens to have a guitar right next to him. He then picks up the guitar and starts playing Little Wing. What would your reaction be? I can tell you that for me personally, I’d be freaking out just a tad. To be in the presence of such an iconic and influential guitarist as Jeff Beck, how could you not be in awe? I don’t even know that I could talk properly. As far as Jeff Beck playing Little Wing is considered, that’s exactly what happened a few years back. Now, keep your eyes on host Malcolm Gerrie when this all happens. To put it simply, he has probably the best reaction out of everybody in the entire room. See for yourself!